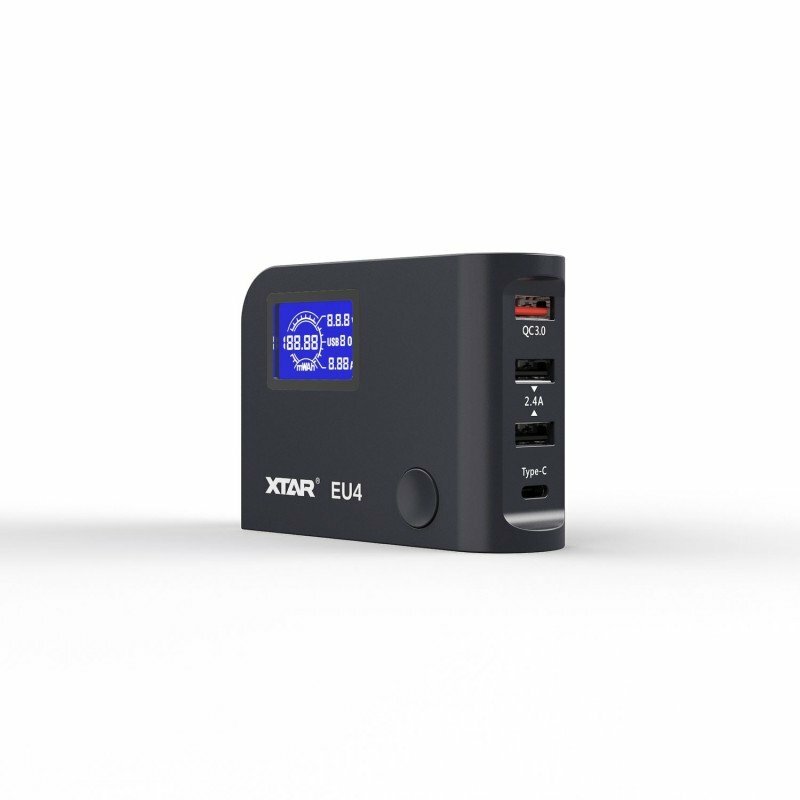 The EU4 is an advanced charger capable of QC 3.0 and Type-C charging. With a max output of 64W, the EU4 can charge most USB devices. The LCD screen is capable of displaying Charging Voltage, Charging Current, Charging Capacity, Overload Status, and the selected Output Ports. PLEASE NOTE: THE EU4 CANNOT USE ALL 4 PORTS AT ONCE. There are two charging modes, QC3.0 and the Type-C port (2 ports total) or QC3.0 and both 5V 2.4A ports (3 ports total). Modes are selectable via a button on the side of the EU4.